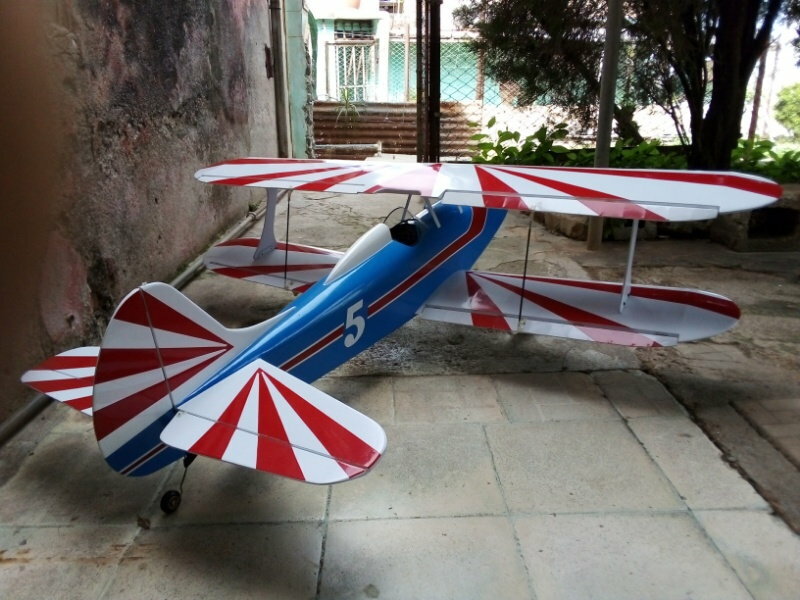 Scratch built Hog-Bipe in Havana. Hi guys. 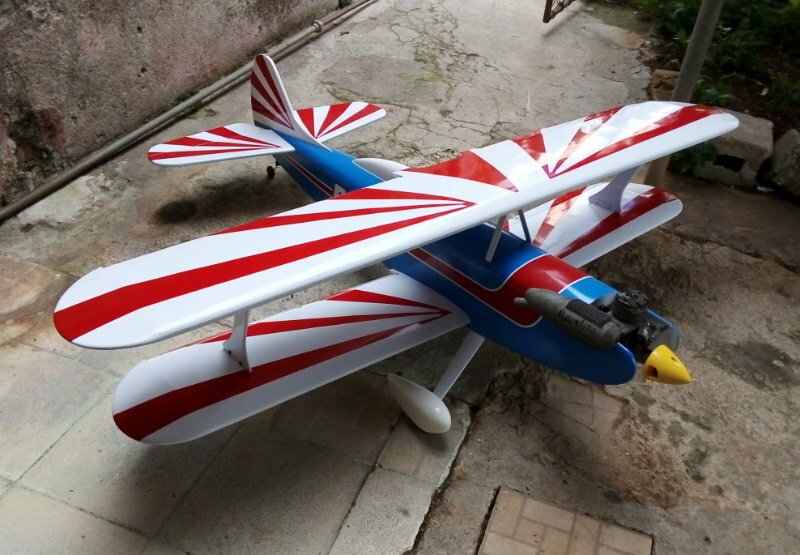 This is my Hog-Bipe, which i built completely from scratch using the kit plans. 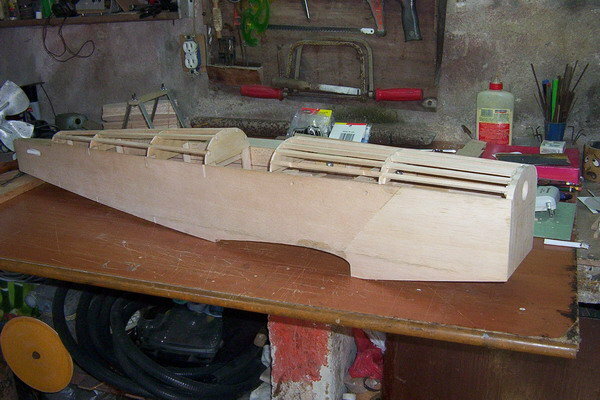 I made some minor changes to the original, like changing the shape of the tail feathers, the head rest, and also made the fuselage a bit wider. I hope you like it. Every time i try to upload a picture a window appears and says that I can't upload URL's until I have at least 10 posts. ¿? 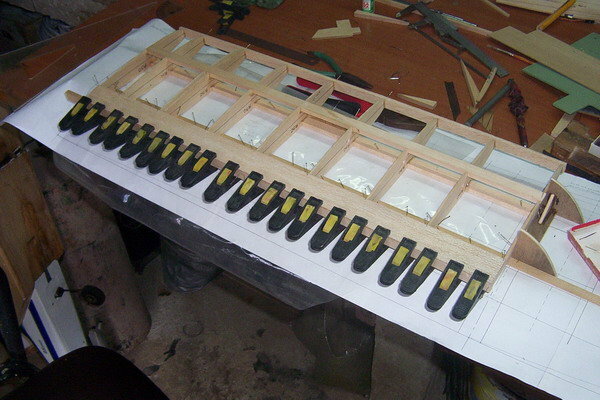 So, maybe some comments about the model building process, wouldn't be a bad idea before uploading pics. 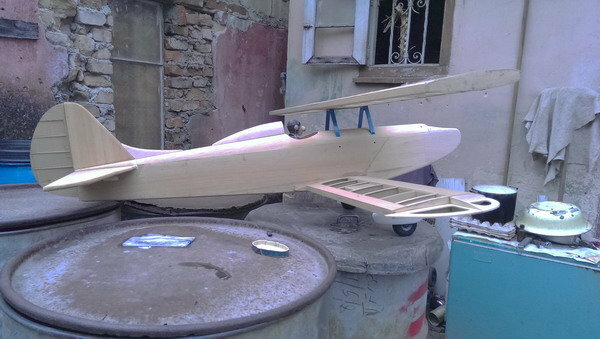 This project was started couple of years ago, but it came to a stop for several reasons and so you guys can understand them, i have to tell you that in my country doesn't exists hobby shops of any kind "nada" So what you guys take for granted, for us is an odissay and means lots of sacrifices, lots of swearing against the government and many times, disappointments. So here goes the story. ¡Oh, I forgot something! Please forgive my poo English spelling and grammar. First of all i got the planspfrom a friend that received the old die cast SIG kit, which was sent to him by a relative in US. When i saw the model it was like love at first sight. Then i managed to buy the good thanks to a friend that travelled abroad and to whom i gave the money and the wood list. 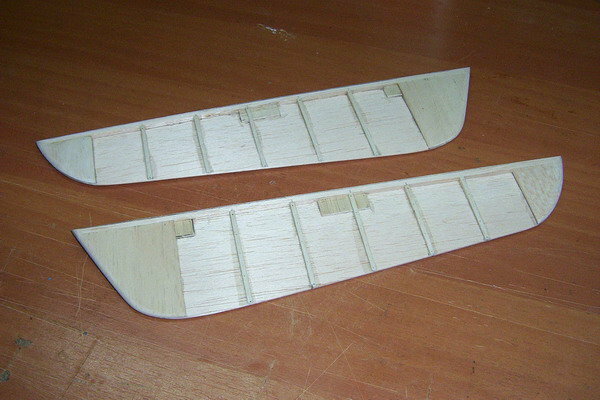 In the meantime, i started making cardboard templates for the different fuselage formers and also a rib template, made from an aluminum 0.15mm sheet and that i can tell you made my life easier when the time came to cut all of the 44 ribs. 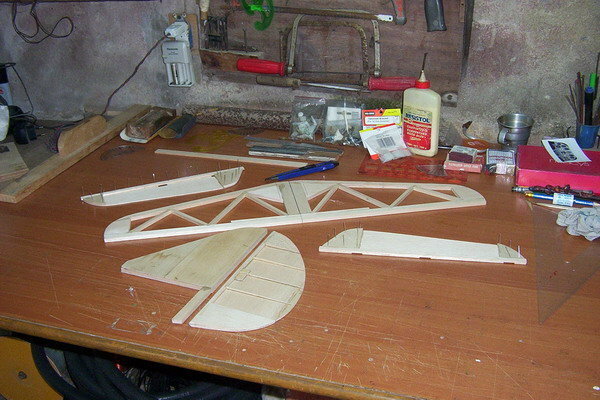 I also started to save some cash for the accessories, CA glue (thin and medium density) and epxy. 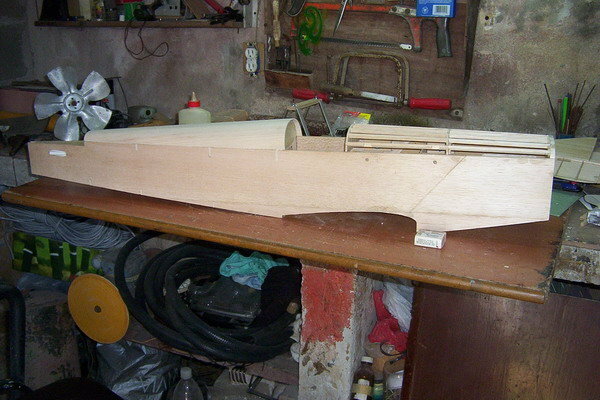 It wouldn't be so expensive as the wood, which costed like 4 months salary, but still it was a hard bloe under the belt. And so my friend returned to the country -i was very surprised and relieved, because only few returns- and he brought the wood. 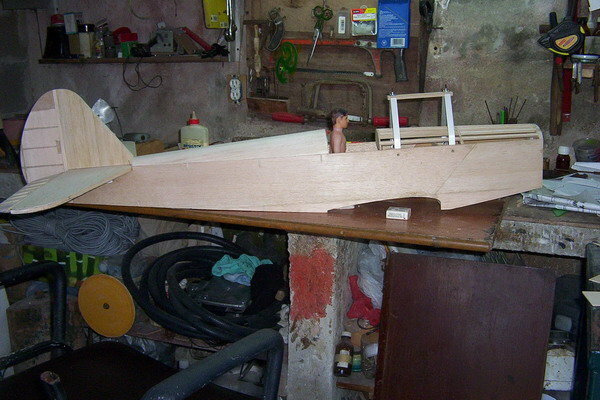 ¡¡Ohhhh balsa wood, what a tender skin and scent!! So that same happy afternoon i started cutting parts and didn't stopped until 4:00am in the morning and everyday after work i cutted few more parts. In a week time i already had a "kit" ready for assembly. 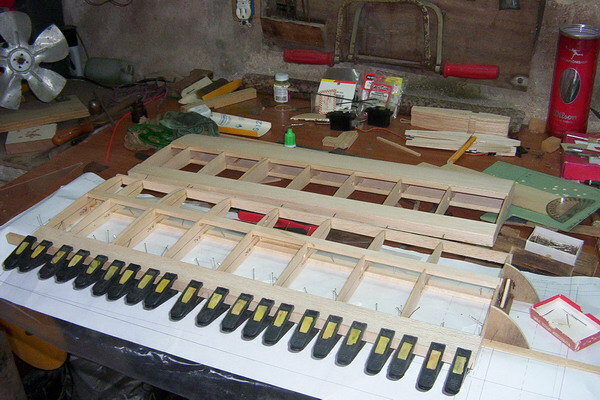 Then it took like 3 months to save the money for the accessories and another month to recieve them the same way as the wood and of course the building process started right away. I don't remember quite well how much it took me to finish the model to the stage of ready to cover, but it wasn't more than 2 months. I was very excited about being able to get to that stage, but when i investigated the price of the different types covering materials, boy, that was another hard blow under the belt. But you know what? We Cuban people have survived untill now, because among other things, we live by the saying that "Invention is the mother of necessities" so i had to find another way and then it stroked me. ¡¡Self adhesive vinyl!! 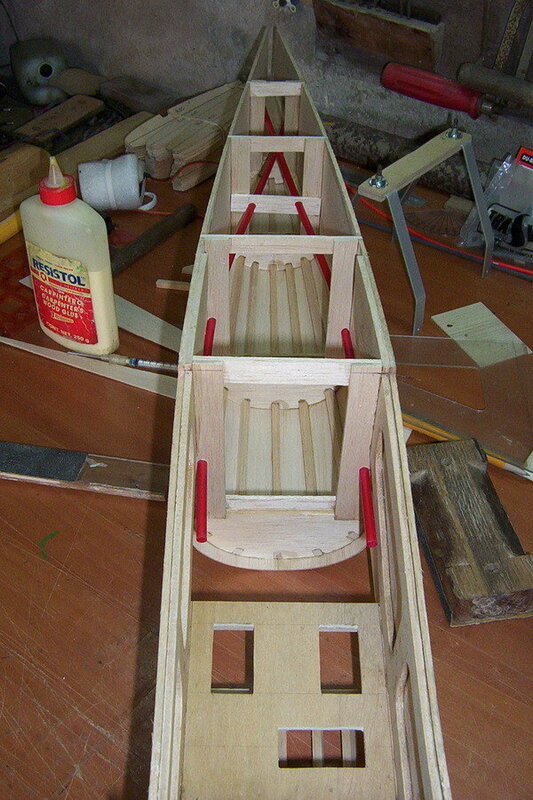 Itmay be a "little heavier" but as the model was so light weighted, she could handle a little extra weight. I bought several meters of different colors of self adhesive vinyl from a local printing company and I started covering the model. Believe me guys, that's a hell of a task, like a pain in the rear, but i got the hang of it and little by little she was getting "dressed" and looking gorgeous. Once ready, i installed a second hand OS.61 i bought from a local modeller and also installed the electronics of my JR Sport SX600. 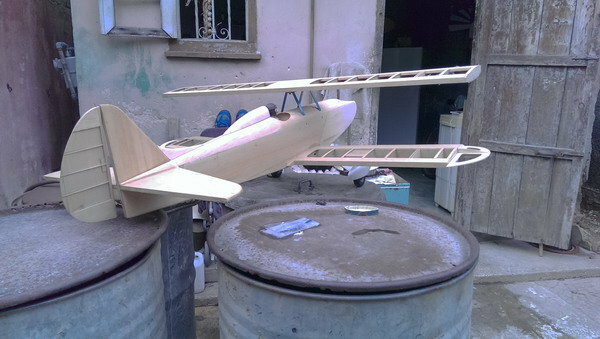 Everything was settled to zero and she was ready for the maiden flight. I go to flight with a very good friend of mine which have a car...I forgot to tell you that having a car in Cuba is a luxury. 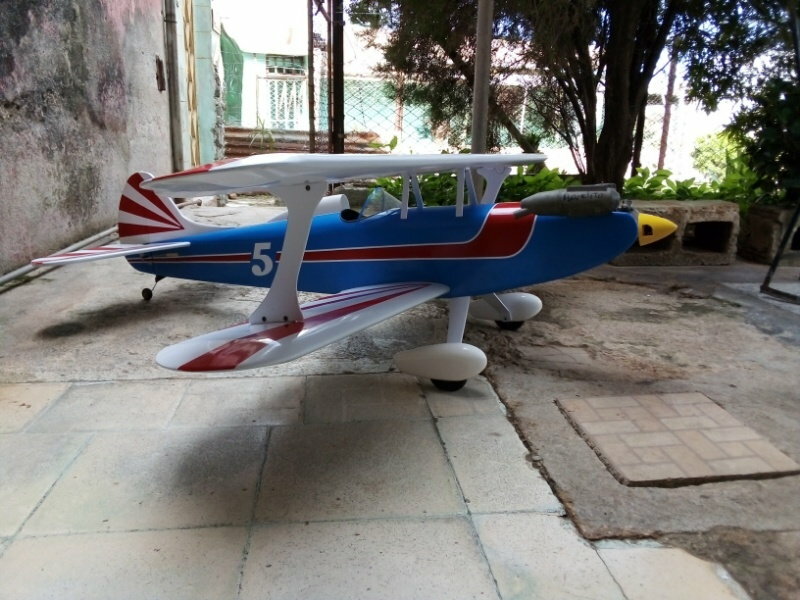 So my friend has a 41 Willy's, with a modern Subaru diesel engine and it runs pretty good and we load it with models and every Sunday go to fly 23 km away from home on the outskirts of Havana city, but one day he travelled abroad and never came back and I dontd have a car, neither the possibilities of having one in the near or far future. 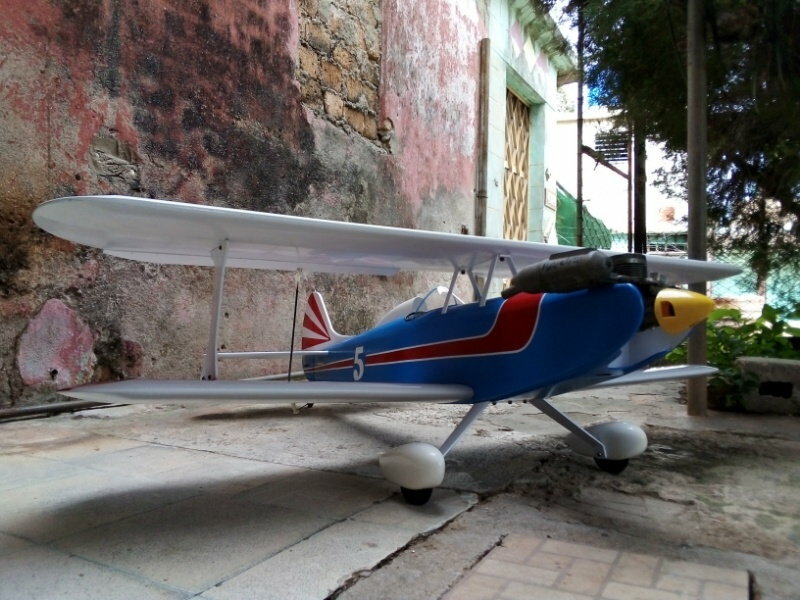 I have another friend that has a car, but is a Lada and my Hog-Bipe wouldn't fit inside, together with his model, so with a broken heart I had to sell the Hog-Bipe to a guy in Cárdenas, Matanzas Province. Last edited by RSC50; 12-17-2018 at 01:11 AM. Merry Christmas to you too Raudel. What a story! We really take things for granted in the US, especially today with ordering things and getting them in a couple days. Too bad you lost your ride and had to sell your nice plane. I'm thinking it must be hard finding glow fuel also, or do you mix your own? It was very hard indeed let her go. We can't take absolutely nothing for granted and that's why i enjoy every modelling moment as long as it lasts. It's difficult to find glow fuel and we do have to mix it ourselves and it's only methanol and oil, no nitro cause is a substance highly controlled by the authorities. 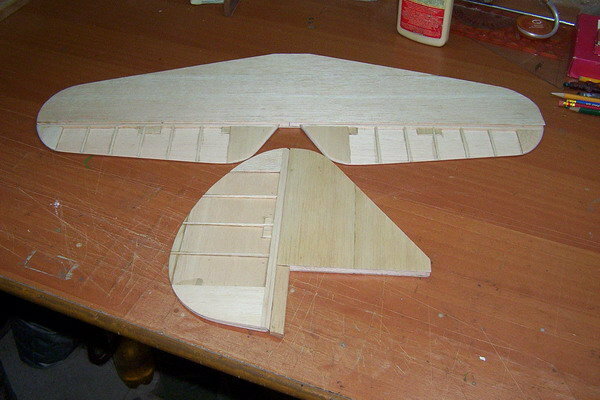 I would like to find a downloadable SIG Smith Miniplane set of plans, but if i can't, i'll downsize a set that I have of the Acro Star and will build it for a 40 size engine. 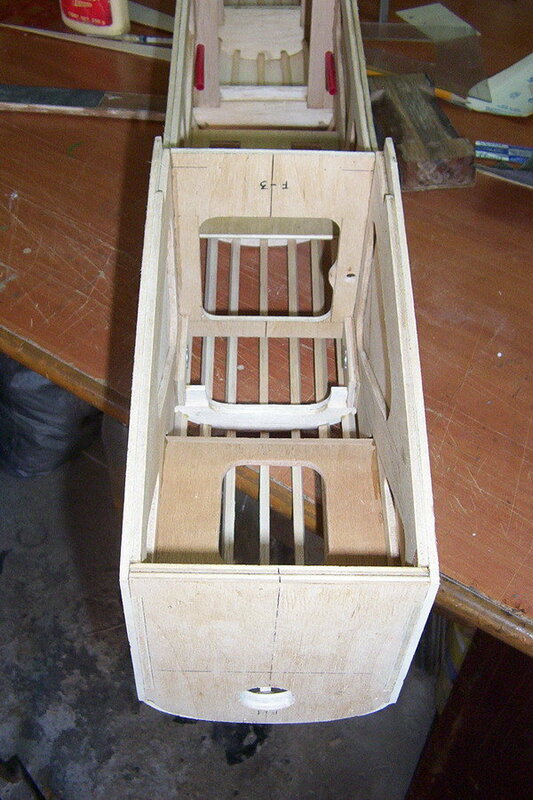 Here goes couple of pics I found about her building process. Te quedo muy bonito el biplano. 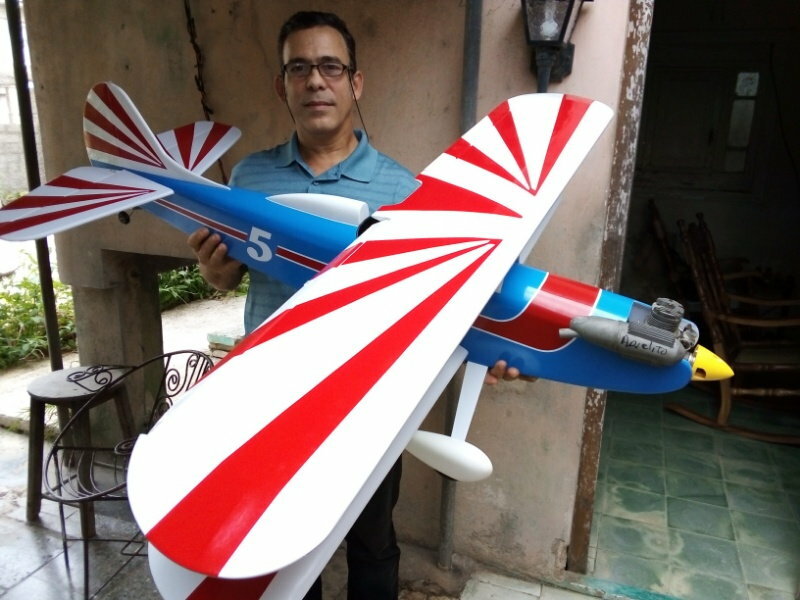 Yo soy aeromodelista, diseno, armo y vuelo jets con turbina en USA. 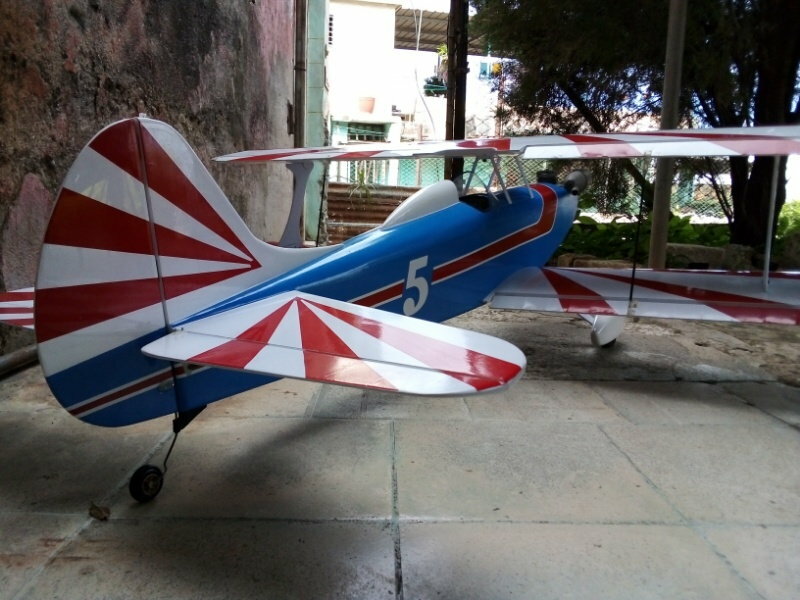 He visitado el Parque Lenin y hablado hace un tiempo con varios aeromodelistas. Pienso estar en la Habana en un par de semanas y me gustaria conocerte. Te puedes comunicar con tu info de contacto por "private message". Gracias por tus comentarios. Ya te escribi un mensaje por el privado y te puse todas mis señas, para que me puedas contactar. 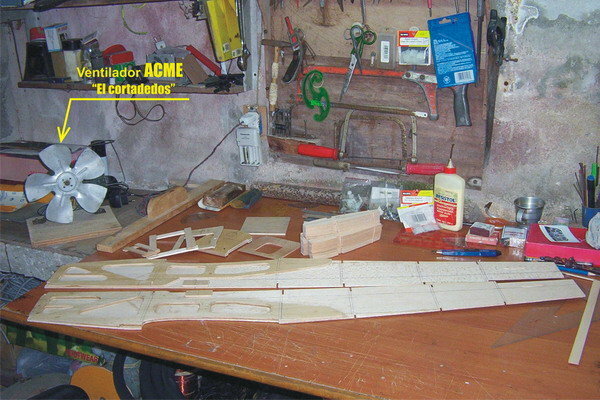 Actualmente estoy esperando que me llegue el plano del kit del Smith Miniplane de la SIG para construirlo. Este sí lo conservaré pues es más pequeño que el Hogar Bipe y quizas si quepa en ell auto de un amigo que va frecuentemente al Lenin. 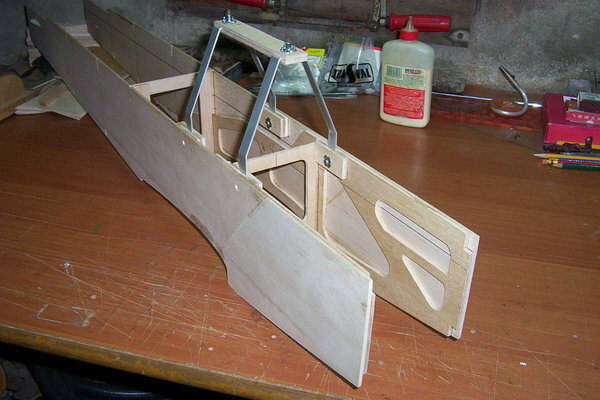 Ademasde diseñar y volar modelos RC, me gustan las maquetas plásticas de aviones en escala 1/48, sobretodo los de la 2da guerra.